The ultimate luxury- Diamond Bracelets. 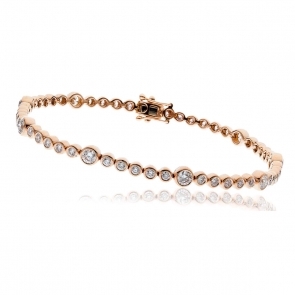 We have a great selection of diamond bracelets including line bracelets such as the popular tennis bracelet available in a choice of sizes and diamond qualities set in white or yellow gold. 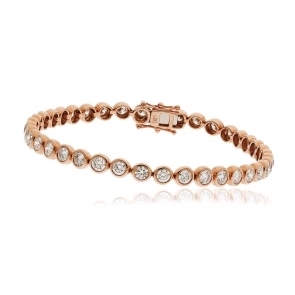 We have a beautiful choice of luxurious evening bracelets along with a selection of elegant gold and diamond bangles.